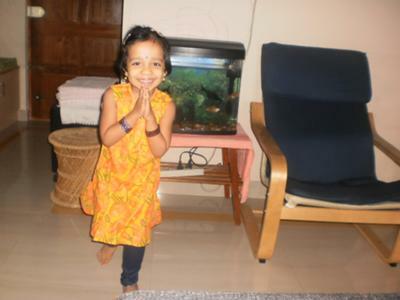 My daughter's name is Disha meaning direction & she has truly given a new direction to our life. She is 3.5 yrs old & is a funloving girl who loves to play!She talks a lot of gibberish & loves kids of all ages. She is very friendly & loves to play allday if possible. 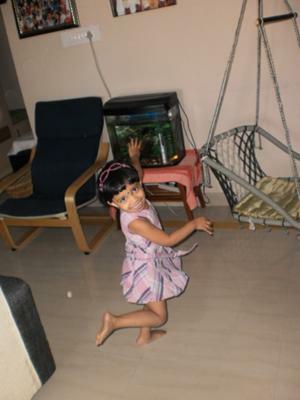 She loves dancing,colouring,playing with blocks,bat & ball,animals esp cats. 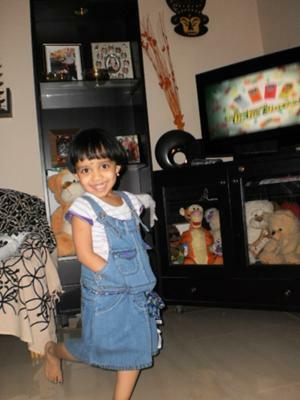 Loves to watch TV & her fav cartoon character is (w)oody from Toy story. Her favorite food is rice & she has a love for chocolates too.